It’s the busiest week in the Miami art calendar this week with Art Basel Miami Beach launching with even more events than last year. The new Perez Art Museum Miami (PAMM) designed by Swiss architects Herzon de Meuron, is one of the highlights and open to the public since yesterday. Sitting on the waterfront by Biscayne Bay the building has been designed with careful consideration to its surroundings. The architects compared the design process to cooking, where you choose the ingredients depending on what flavours match the season and the environment. In the strong Miami sunlight concrete works wonderfully and the form of the building could be seen as a giant version of the basic bungalow with a terrace in front. 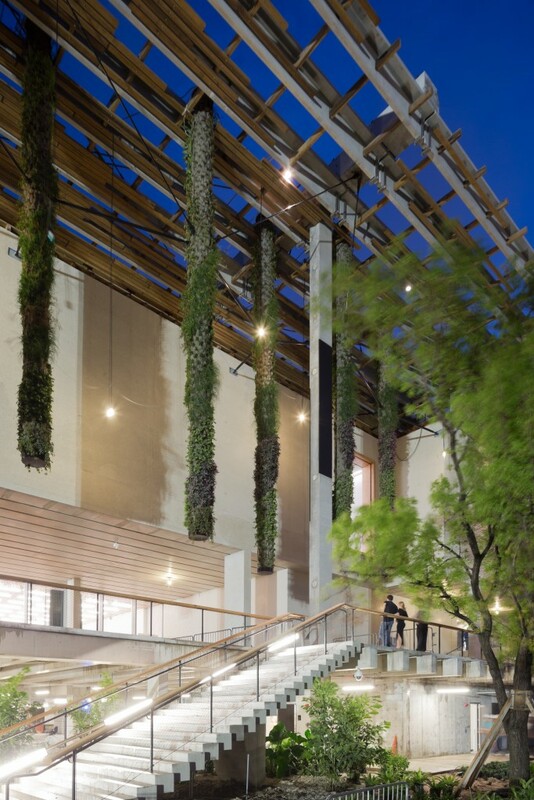 The vertical garden follows and creates a rhythm with the pilasters supporting the canopy above the terrace and adding some shade. The museum is now showing an inaugural exhibition by Ai Wei Wei, a close collaborator and friend of the architects.